These foldaway tables have a stylish curved foot design with a choice of black or chrome frame. 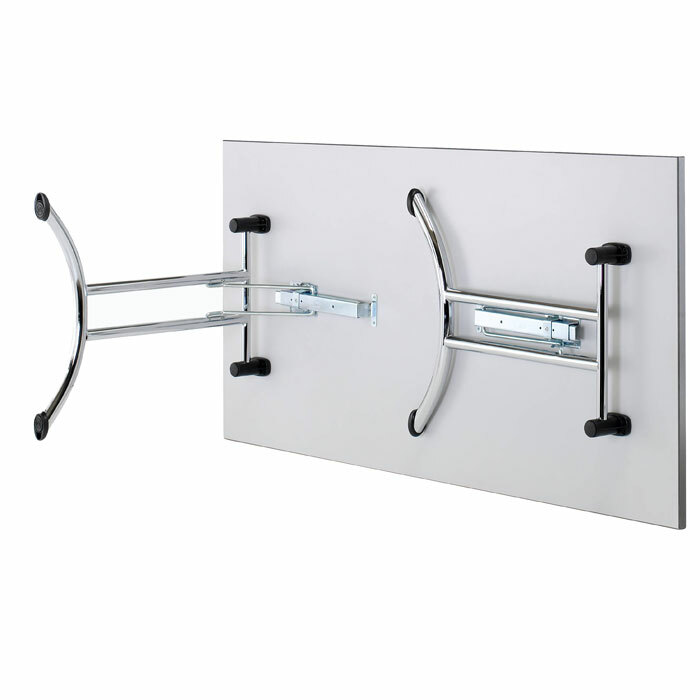 Perfect for all meeting or training room activities. The legs simply fold up under the table top for easy storage. Sturdy and robust 25mm top available in a variety of wood finishes to match existing furniture. Wood samples available if required. Can't find what youêre looking for online? Please call us for more options as stock changes daily. 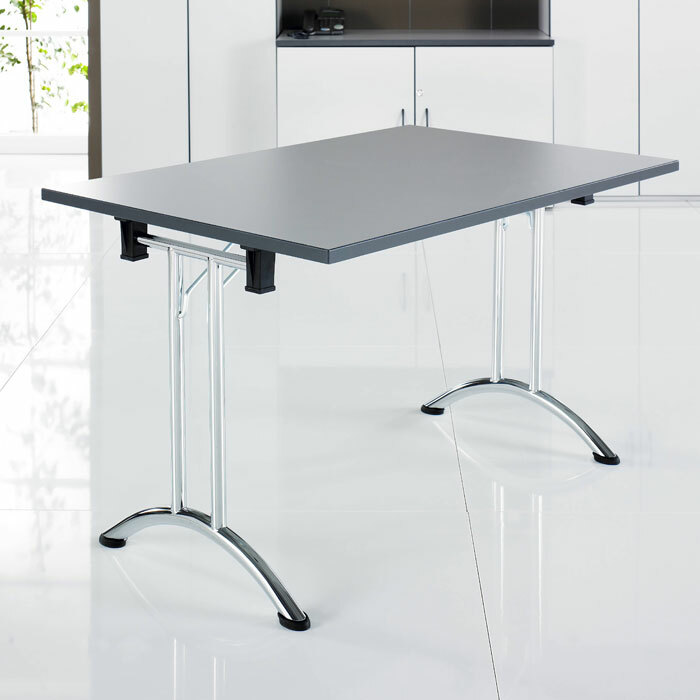 If you're looking for brand new meeting tables like this folding table then Barkham Office Furniture is the place to visit. For more information on the flip top table please don't hesitate to get in touch.